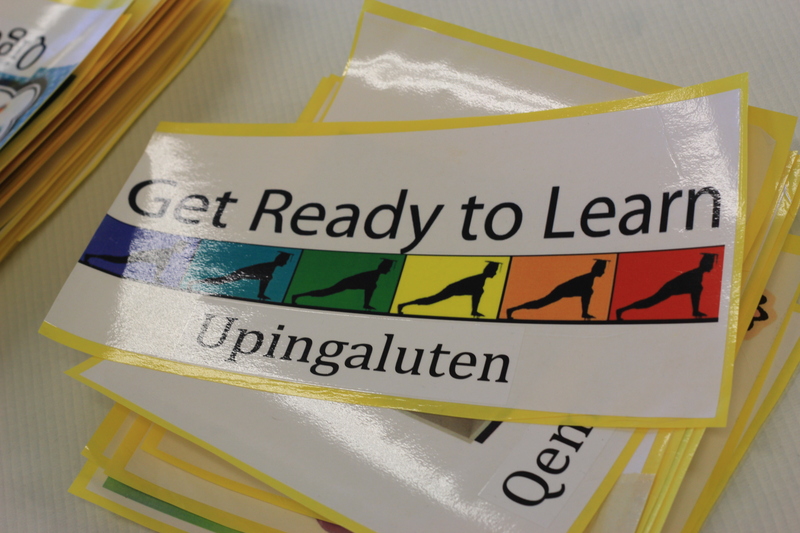 The Anchorage School District has immersion programs in languages like German, Spanish and Japanese. 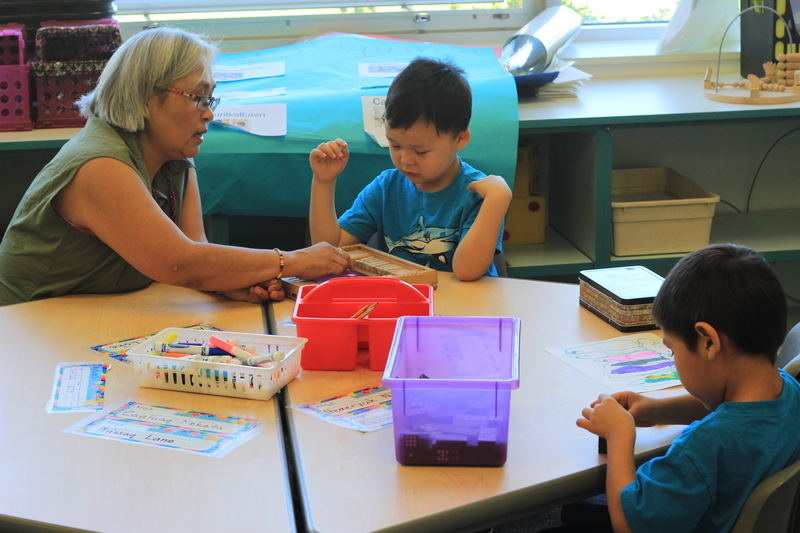 But until recently, there were no immersion programs for Alaska Native languages. A kindergarten class in Anchorage has taken the first step in a Yup’ik program this week, with plans to continue all the way through high school graduation. 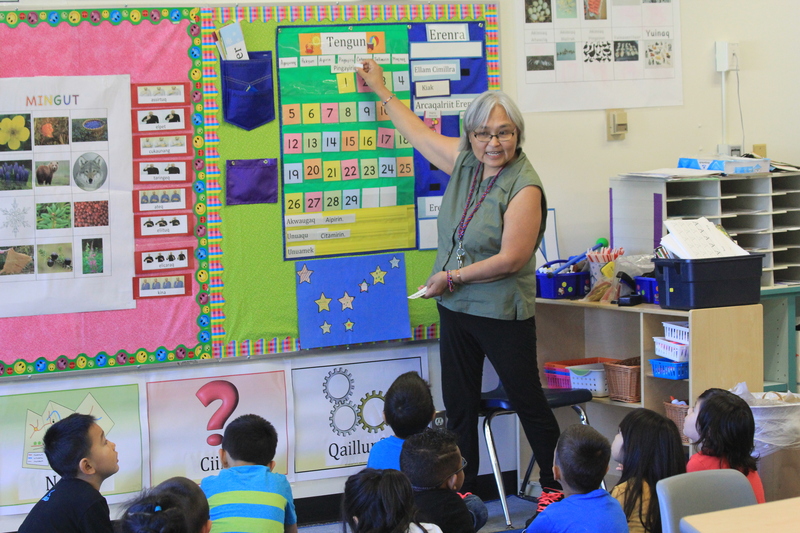 In Lorina Warren’s kindergarten class at College Gate Elementary, students are learning the first letter of the Yup’ik alphabet: A (pronounced like ah). The kids are sitting in a circle, passing a ball around and saying a, and then the word for ball: angqaq. While some of the students whisper in English to each other, Warren is only speaking Yup’ik. 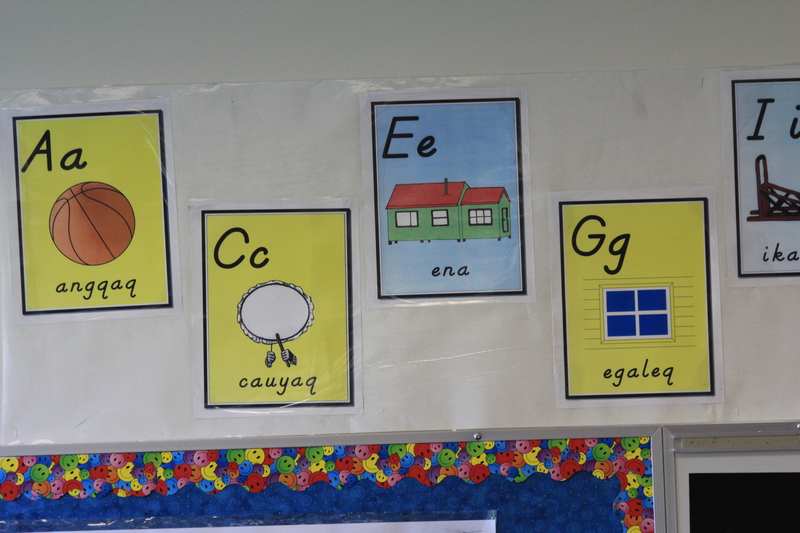 It’s part of a new language immersion program where the students spend half of their day learning in Yup’ik. The classes are modeled after the Lower Kuskokwim School District, where Yup’ik is spoken more commonly. Warren teaches one class in the morning and another in the afternoon. The idea is that these kids will spend their entire school careers in a program like this, ending high school as fluent Yup’ik speakers. Warren sees teaching language as a way to preserve culture. College Gate principal Darrell Berntsen grew up in Old Harbor on Kodiak Island, and is Alutiiq. Berntsen regrets that he didn’t learn his native language as a child. Berntsen has seen firsthand just how fragile Native languages have become in the last few decades. Berntsen says groups like the University of Alaska Fairbanks are working to preserve languages in a historical context, but that isn’t enough. He thinks the best way to ensure languages don’t die is by teaching children how to speak them fluently. He says the time was right to teach a Native language in the Anchorage School District. Berntsen says typically in language immersion programs, the students start behind their peers, but eventually catch up and surpass those in more traditional schools. Back in the classroom, the students have moved on to numbers, rolling large dice, hoping to roll a one, or Atauciq. Warren says even though about half of the students in the class are Yup’ik, they all primarily speak English at home. While currently there is only the kindergarten class in the immersion program, the plan is to add a new grade and instructor every year through high school graduation. Parents who want to send their children to the Yup’ik program enter the school district’s lottery system. The lottery for next year opens January 1st.